An executor handles all aspects of your estate. He will start the estate proceedings and will participate in the proceedings; he will sell assets and give the beneficiaries their share. The executor pays your debts, manages the estate's money, prepares and files your final tax returns and protects the estate from financial loss. If you have a car, for example, the executor will take steps to protect it from damage before it is sold. If the car is damaged, it will lose value and your heirs will get less. Your executor will handle any problems that arise, such as a dispute over your will or a creditor trying to claim an illegitimate debt. You'll need to pick an executor who is legally able to serve in your state; usually, this means a person over the age of 18 who is mentally competent and who doesn't have any felony convictions. You may select a relative, but you will want to chose a person whom your beneficiaries will accept in the executor role. An executor should be organized, honest, pay attention to detail and able to handle the financial responsibilities, court appearances and paperwork that come with the role. When you're deciding between potential executors, speak to your candidates. You should confirm the person you pick is willing to do the job before you name him in your will. You may name an alternate executor in your will. If your first executor is unwilling or unable to serve, your alternate will take his place. Speak to the alternate executor before you name her in your will. She has to be willing to take on the responsibility, if the first executor can't act. The alternate executor must still meet the minimum age qualification for an executor in your state. Your will has to conform to state laws and you must sign it when you're done. Your named executor won't get court appointment if your will is invalid. State laws differ on will requirements, and the rules for typed or handwritten wills might not be the same. Usually, you need at least two adults to sign the will as witnesses to your signature. These two or more people need to be considered adults in your state. Some states forfeit all or part of a beneficiary's share if she is a witness to the will, so use witnesses who won't benefit from your estate. 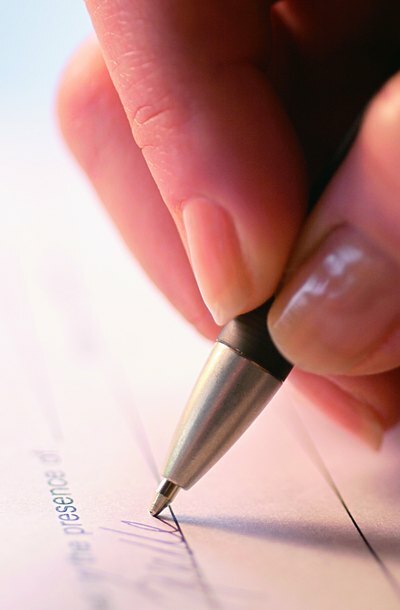 You and your witnesses may sign notarized affidavits that comply with your state's laws to confirm your will. With the affidavit, your will is considered "self-proven," and your executor won't need your witnesses in court. The person you name in your will to manage your estate is called the executor. Other terms include fiduciary or personal representative. This person's duties include gathering your assets, paying taxes and bills owed by your estate and distributing the remaining assets to your beneficiaries according to the terms of your will. If the person you named as the executor is not available or is unwilling to serve for any reason, your state's laws allow the court to appoint someone else as executor. Can I Make My Siblings Include Me on a Mother's Estate?